Monday morning and all I can do is daydream of medieval cities, stone alleys and old palazzos. Domus Civita is most certainly to blame for that! For I've spent a little too many moments browsing through its pages, drooling over the images of this divine place and projecting myself into its spaces. 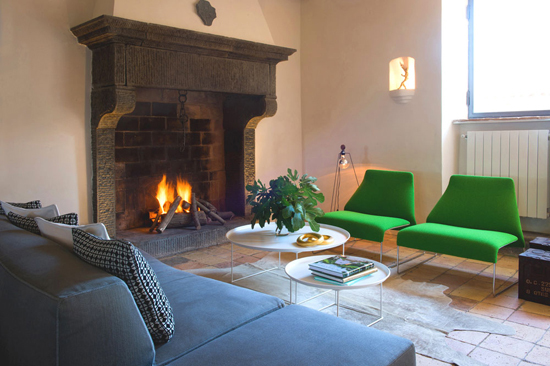 Domus Civita is an old house in the medieval city of Civita di Bagnoregio, recently undergone a great restoration and transformed into a luxurious, modern home, capable of hosting up to 8 guests into its comfortable and relaxing rooms. 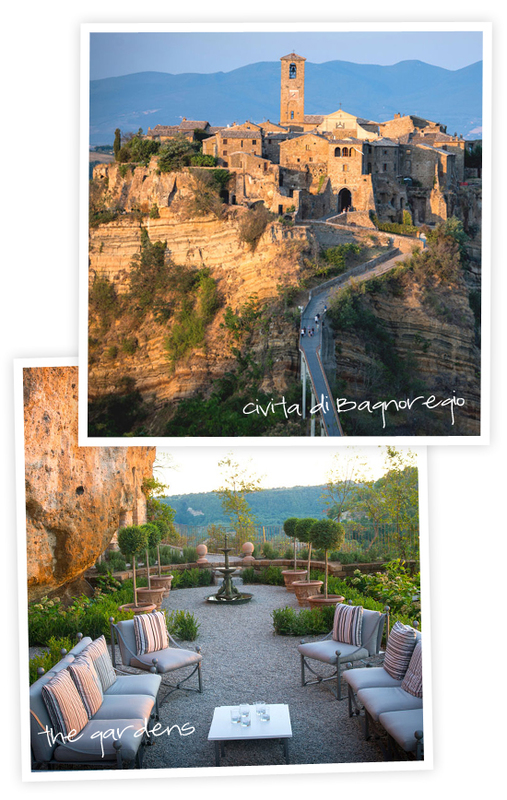 More to it, there is a traditional Italian garden with an old fountain, an underground pool in a cave and a wine cellar in an old roman water cistern. Please tell me, are you not tempted yet? P.s. Another impressive hotel in Italy. 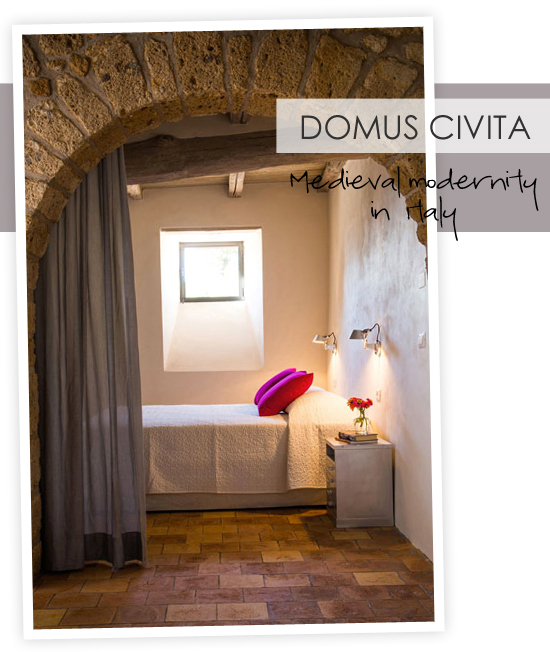 9 comments on "Domus Civita in Italy"
medieval modern is something we never see in the states! just stunning! Great blog! Amazing content and style! Thanks for putting it together..
beautiful mixture of styles. great post! 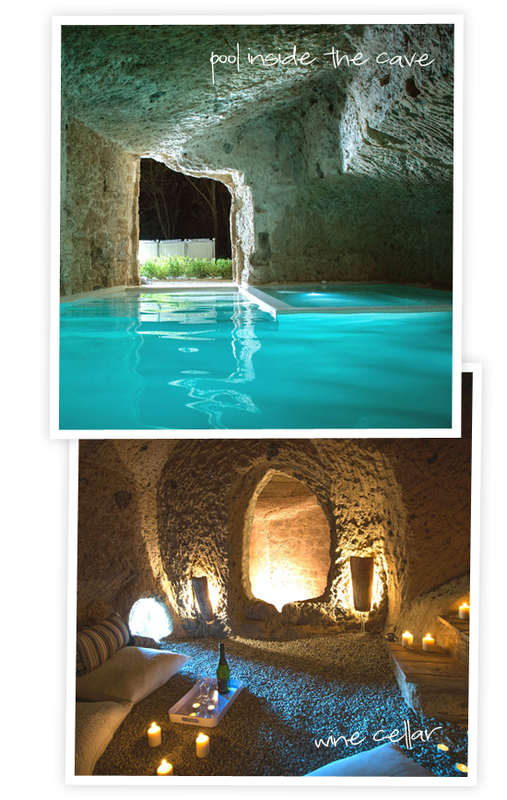 The room designs are very fantastic and I like all of them specially the Wine Cellar and Pool in the Cave. We love spending our vacation in Italia, actually we spent our vacation there in Hotel Como that also had a great place where you can spent your days peacefully. Nice post!